BENTON, Ky (WDRB) Kentucky's Marshall County High School will never be the same, after a gunman killed two students and injured several others in January 2018. School leaders are doing security upgrades to make students feel safe. After the shooting, school officials had to re-evaluate safety. Students helped come up with a plan. There are signs of healing across the small town. There are banners that read "Marshall Strong." And a cross is up near Marshall County High School, as students get used to a new normal this school year. Twelve metal detectors are at entrances at the school. "To make sure everyone feels safe," says student Andrew Coleman. "Just a knowledge that everything can be safe as it can be." 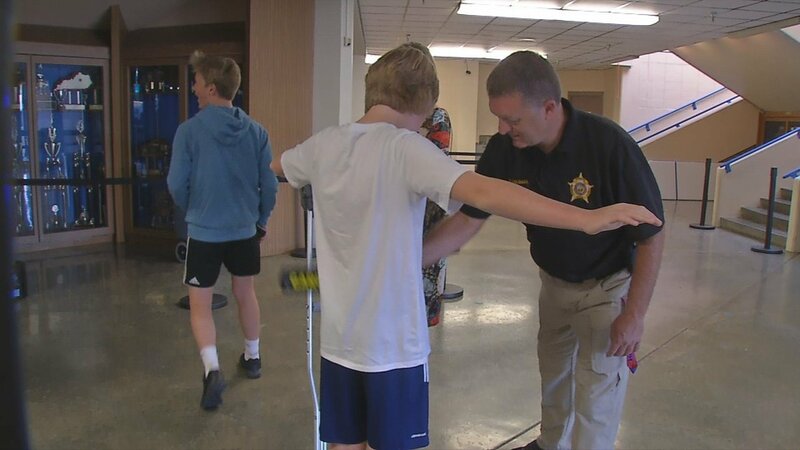 Students get through the metal detectors and security wands quickly, and you won't see them carrying backpacks. They are banned in classrooms. Marshall County High School Principal Patricia Greer says, "It's a safety measure they asked for and we're able to provide." 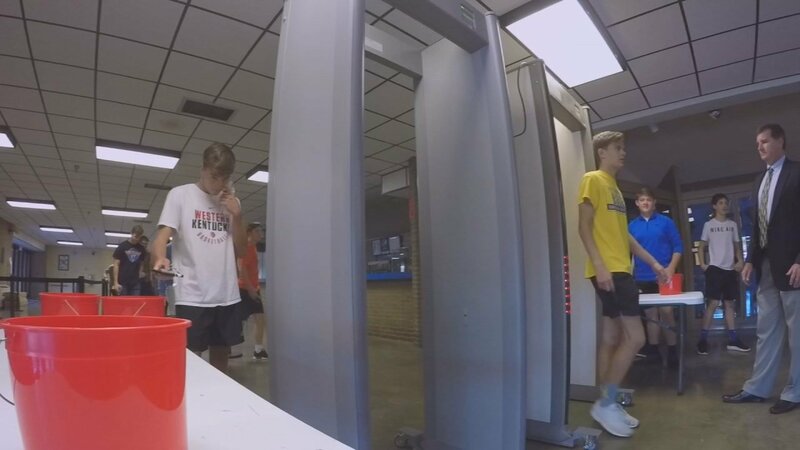 These are security changes the school officials never imagined they'd need to make. But January 23rd, changed everything. That's the day student Gabe Parker shot and killed 15 year-olds Bailey Holt and Preston Cope. Superintendent Trent Lovett says, "We felt like we were in the safest school district around, and then for something like this to happen, if it can happen here, I can promise you it can happen anywhere." Twenty-four people were injured. Sixteen from gunfire and 8 from other injuries. The superintendent says some people didn't come forward until days after the shooting. Deputy J.T. Coleman is a school resource officer patrols the halls. He says, "We're pretty much standing where it happened. Like I said, there were 3 columns right here, what I call platform carpeted seats. The shooter stood about right here." Deputy Coleman is one of 5 SRO's now in the district, which is another added safety measure after the shooting. Before, there was just one SRO. He checks all entrances and exits and makes sure the building is secure. Students say having more SRO's here makes them feel safer. Deputy Coleman taught his son, Andrew, who goes to the school, what to do in emergency situations. Andrew says, "I was in the Commons, I'd say about 30 feet from the shooter." Andrew first started running, but in the chaos saw students in need. He says, "One of my other friends said we just have to get in our cars and leave, and I said 'no,' there's nobody here to help this kid. So I stayed and helped one of the kids who was shot in the leg and made sure he made it to the hospital." Initially, the Commons area was hard for students to walk through, but it has gotten easier. And there are changes being made. Deputy Coleman says, "This is going to be the new lobby, the new Commons. You can kind of see the remnants of the old." Construction already planned before the shooting is now taking shape, as the area is partially boarded up. 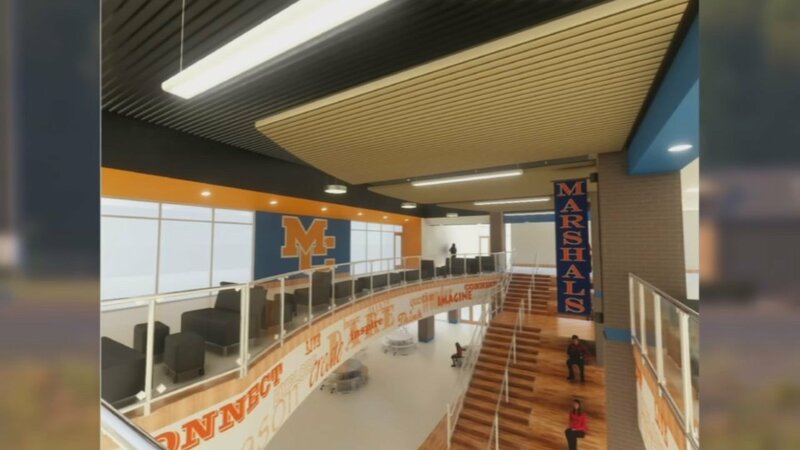 Designs show what the school will look like when construction is expected to be finished at the end of next year. Security upgrades aren't done yet. The school will still implement a system where people are buzzed in. Lovett says, "We have some hall monitors that we're using especially during the construction phase this year. We have a guard shack where any vehicle that comes to campus must stop at the guard shack and sign in." Federal grants are also helping. Nearly a half-million dollars will go to victims and families healing from the shooting. Part of the money will pay for two mental health professionals and a coordinator to oversee the recovery plan at the high school. Lovett says students have learned from the tragedy. "Well, they've probably had to grow up faster than they needed to because this is the situation that the majority of people in the United States have never been through, have no idea what they've been through." The school plans to work with the victim's families on the best way to pay tribute at the school with a memorial for the 2 students, who continue to change lives after their deaths. Andrew says, "I'd like to see a plaque that says in loving memory, just so everybody is not forgotten." Greer says, "Their legacy will live on for years. It's just a wonderful thing thinking about kids playing like Preston and being like Bailey." The school with more than 1,300 students endured a tragedy, but it has brought this small community closer together. It's a story of heartache and perseverance. Lovett says other school districts can learn from this shooting. "Always be prepared because you never know when it's going to happen to you." Security is different for the younger children. Elementary students are still allowed to use backpacks, but only if they are made of see-through material.